With the recent explosion of technology into the world of education across the globe, this book sets out a framework for rethinking the three key areas of schooling that are most affected by technology's impact on education today: knowledge as curriculum; learning and pedagogy and literacy across the curriculum. 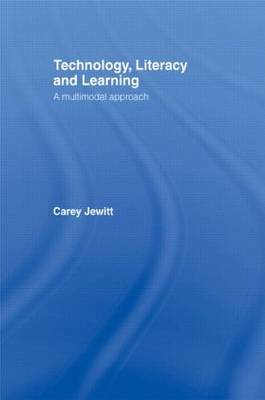 A well-known author in this field, Jewitt takes the reader through an analysis of teaching and learning with materials such as CD-ROMs, websites, the Internet, computer programming applications and computer games, relating each in turn to the main curriculum topics. How do the new technologies reshape knowledge as curriculum?How does the use of new technologies in the classroom reshape learning pedagogy?As writing moves from page to screen, what is the impact on students' situated literacy practices and how does it effect learning? Through these questions, this book demonstrates that mode, technology and curriculum knowledge are fundamentally connected and describes how teacher and student roles in the classroom could be altered in the face of new technologies.